Advanced Machinery has again shown its commitment to its growing service division. 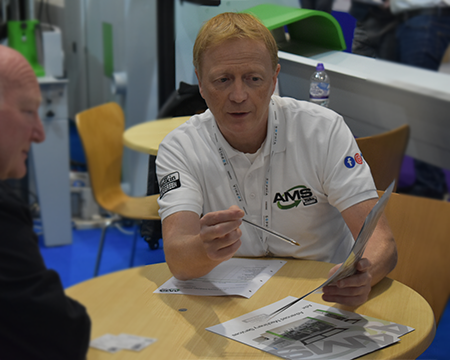 With the most experienced technical support network in the industry the expertise of customer support staff, AMS is able to offer an unparalleled level of service support. The Service Hotline is your first stop for service, maintenance and breakdown support. Staffed by product specialists utilising the latest service management software, AMS offers the quickest solution.Should a service visit be required, you can be assured of a prompt response from our network of dedicated field engineers, who are strategically located throughout the UK. In addition to machine service and repair, we also offer installation, on-site training and are happy to arrange factory moves. Following numerous meetings with Leicester College it has now agreed to employ 8 new apprentices over the coming 12 months. Three apprentices have already started on advanced courses. A further 3 apprentices started in January, and the final 2 started in August 2017. A comment from Tony Harris AMS service Manager said that they were not just committing to basic apprentices but a lot more with the new starters undertaking the following blocks.